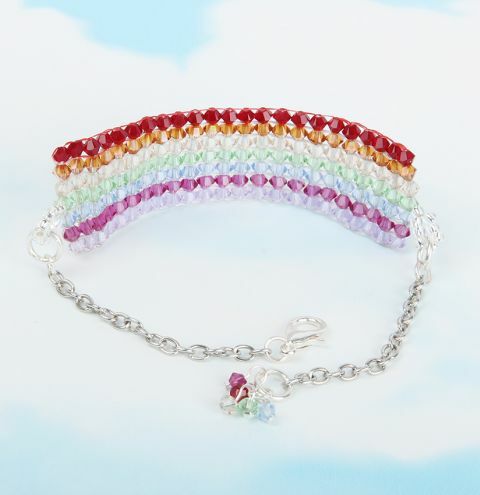 Make a glistening loom bracelet in the colours of the rainbow with Swarovski crystal bicones. To make this project you will also need a beading loom. Follow the project instructions on the blog HERE.